As Pesach rapidly approaches, the need for borrowing specialized medical equipment has seen a spike in calls. With many people having guests for Yom Tov requiring some sort of medical equipment; wheelchairs, commodes, knee walkers, shower chairs and various other items, have been delivered throughout the neighborhood. 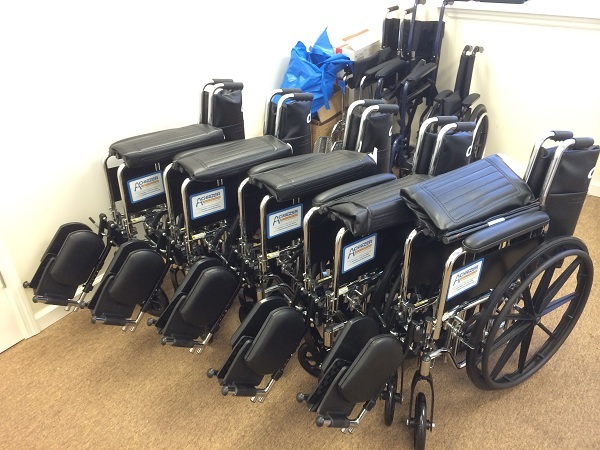 Due to a generous sponsorship, several brand new wheelchairs have been purchased and added to our inventory in response to the increased call volume. To lend, borrow, or dedicate equipment, please call Achiezer at 516 791 4444 or email equipment@achiezer.org.